Vintage (1980s) English Ironstone Tableware River Scenes dinner plate. 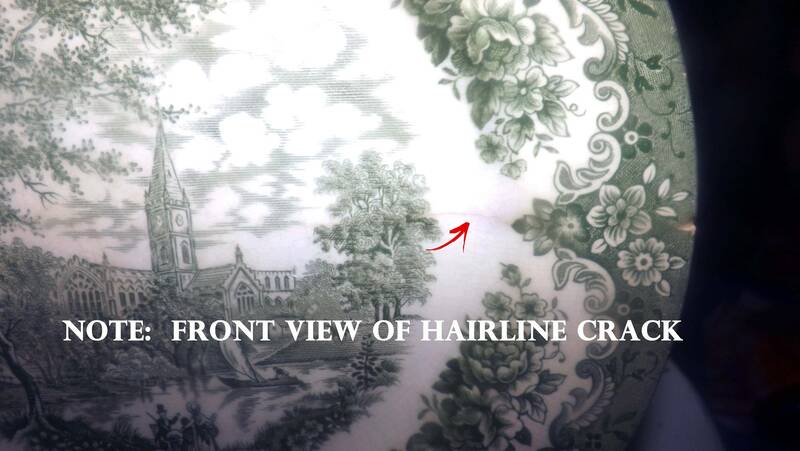 Green transferware English country, floral rim. Flawed (see below). Vintage (1980s) English Ironstone Tableware River Scenes Green dinner plate. 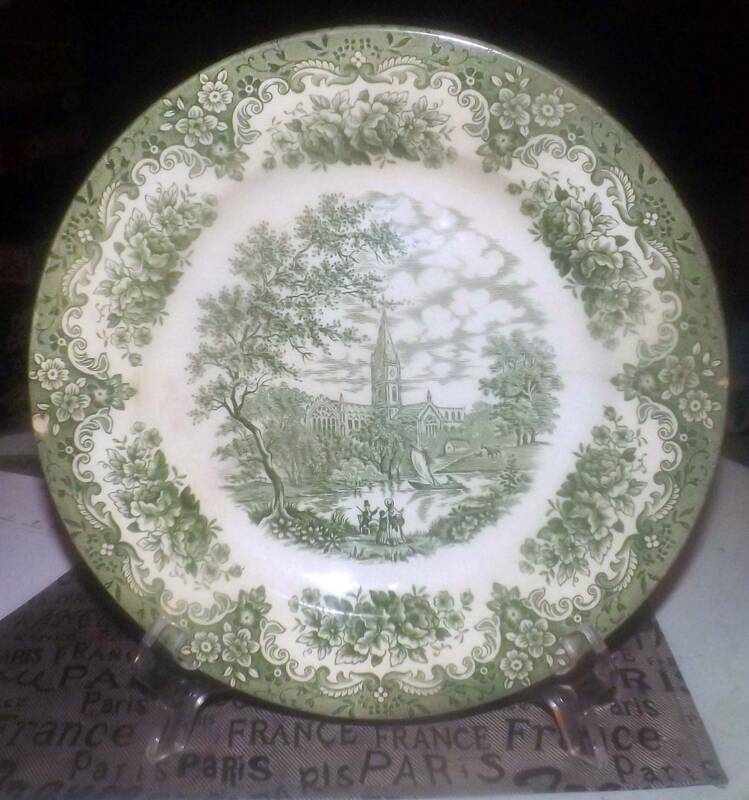 Green transferware English countryside scene with church and pond, floral rim. 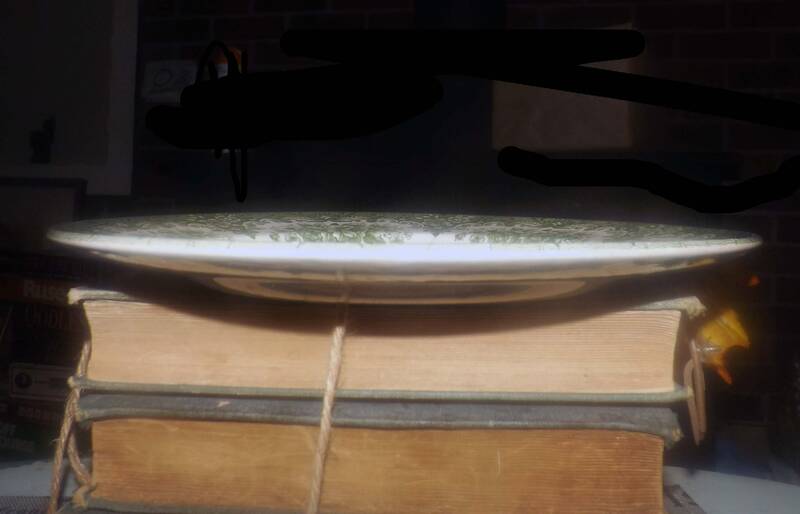 This dinner plate is recommended for use as a cabinet or display plate only. 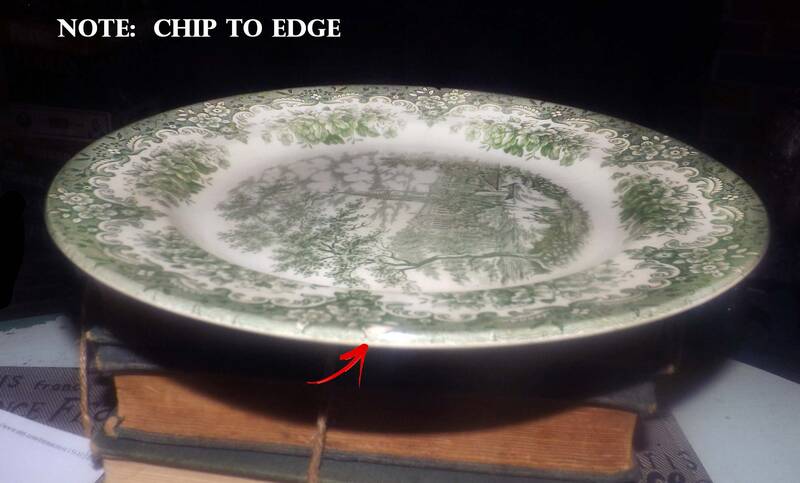 There is a stable hairline crack to one side of the plate, noticeable front and back and there are a pair of chips to the edge on either side on the front. 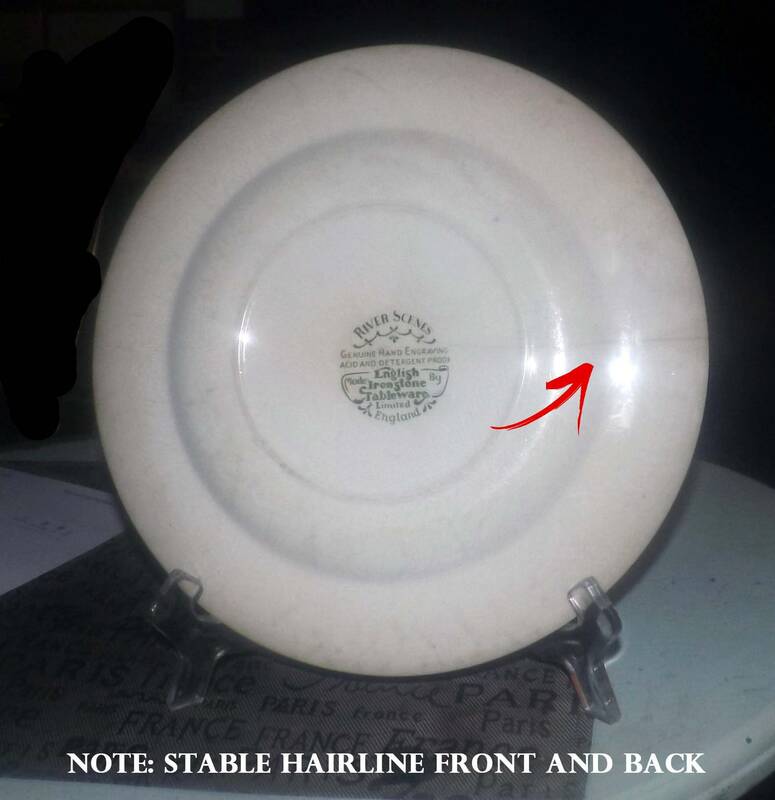 There are also scuff marks to the REVERSE of the plate, not noticeable unless the plate is turned over (please review each of the posted photos for a complete visual of the item). The green transferware imagery is bright and vivid with NO! fading apparent.